Accidents and unexpected injuries can cause lasting physical, emotional, and financial problems for the victim. It is upsetting to suffer from the pain and trauma of this type of accident, but equally as frustrating to be denied the financial compensation that you need for recovery. 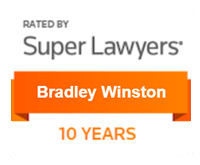 Fortunately a qualified legal professional may be able to help you recover the compensation that you need to support yourself and your family. 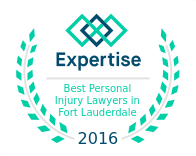 At Winston Law Firm, we are dedicated to fighting for the rights of injury victims. If you or someone you love has been harmed by the negligent actions of another, contact our offices at (954) 475-9666. We can help you take action against the responsible party and receive the compensation that you need. Medical bills, lost wages, and property damage can add to the stress of an injury. It is important to consult an experienced personal injury attorney to protect your livelihood and pursue the compensation that you may be owed following an accident. There is no reason to suffer because of the irresponsible actions of another. Contact a Fort Lauderdale personal injury lawyer at the Winston Law Firm, at (954) 475-9666 to discuss the ways we can help you build a case against this irresponsible individual.